“It had nothing to do with gear or footwear or the backpacking fads or the philosophies of any particular era or even with getting from point A to point B. It had to do with how it felt to be in the wild. With what it was like to walk for miles for no reason other than to witness the accumulation of trees and meadows, mountains and deserts, streams and rocks, rivers and grasses, sunrises and sunsets. The experience was powerful and fundamental. It seemed to me that it had always felt like this to be a human in the wild, and as long as the wild existed it would always feel this way. 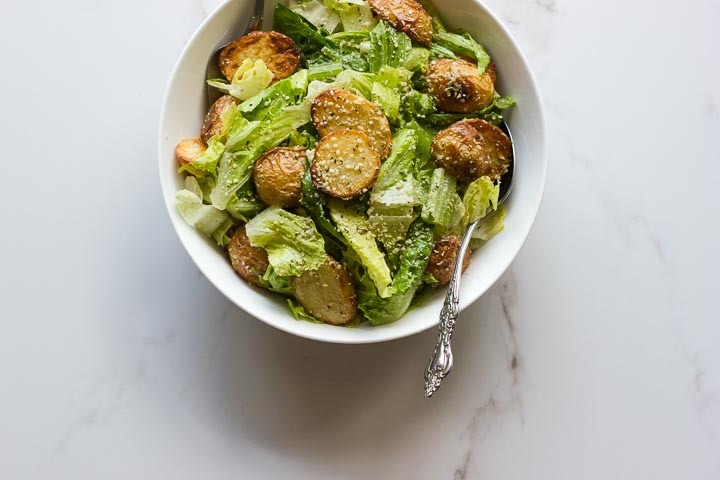 A really simple assembly of ingredients for a summer take on a classic ceasar salad. 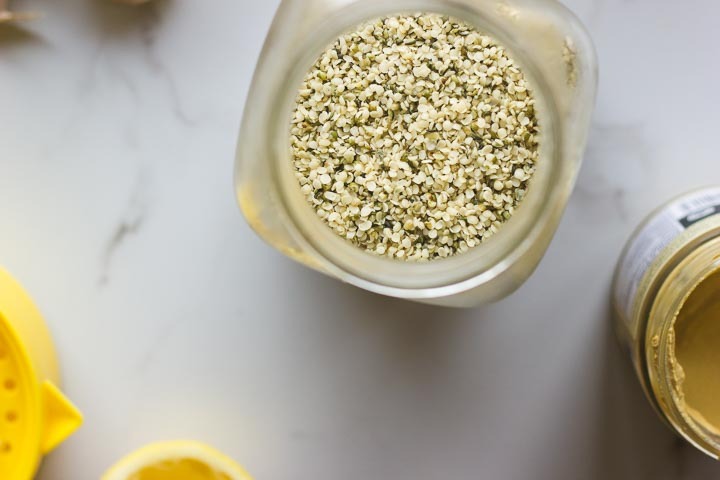 I was inspired to make a creamy hemp seed dressing from the lovely Jessie’s Ceasar Dressing over on Faring Well. 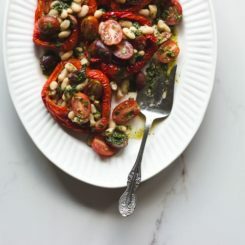 I loved her use of kalamata olives for the salty depth of flavor, so I took note and adjusted from there. I don’t own a vitamix or a powerful blender so for dressings and sauces I usually use an immersion blender in a large mason jar. The one I currently own came with a separate attachment and while I thought it was gimmicky at first, I use it on a very regular basis. 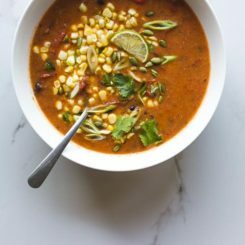 Add in your favorite protein. Some cooked lentils or other legume would help bulk this salad out and turn it into more of a substantial meal. Lentils and potatoes are such a great combination – make really good lentils over here. 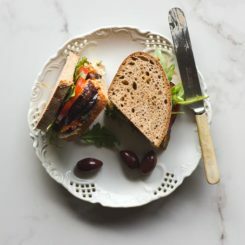 White beans, tofu, tempeh, grilled chicken or salmon are all good ideas as well. Caramelized Onions/Shallots. 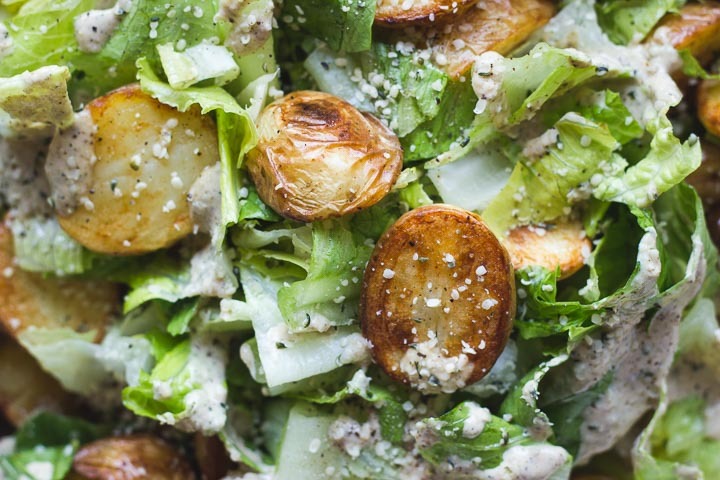 The addition of caramelized onions or shallots can really take this salad up a notch. I love their sweetness next to the potatoes and creamy dressing. The longer you cook onions, the deeper their flavor will be and always make more than you think you’ll need (so you can add them to meals throuhgout the week!). Cook onions in olive oil and sea salt over medium heat until deep and caramelized, this can take 45 minutes to an hour so start before putting the potatoes into the oven. Keep an eye on the onions and stir them often to prevent burning or browning too quickly. Preheat oven to 400 F and line a rimmed baking sheet with parchment. Slice potatoes in half (or quarters if some are larger). 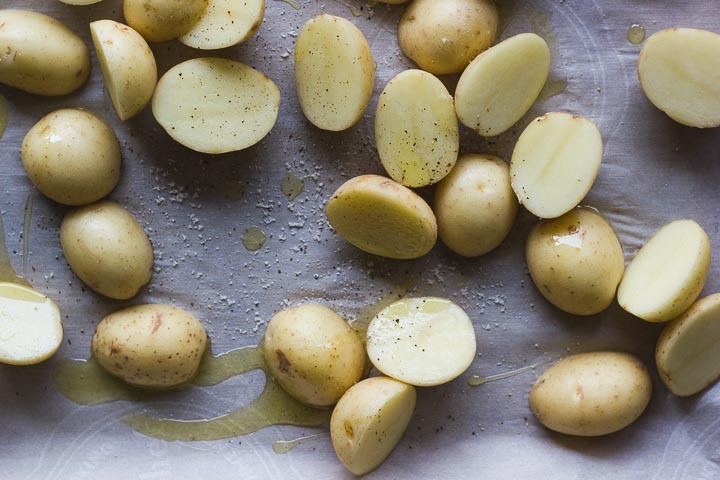 Place potatoes and garlic on the prepared baking sheet, drizzle with oil and season with salt and pepper. Make sure there is space between the potatoes. Roasted in the oven for 18 minutes. Flip the potatoes and rotate the baking sheet. 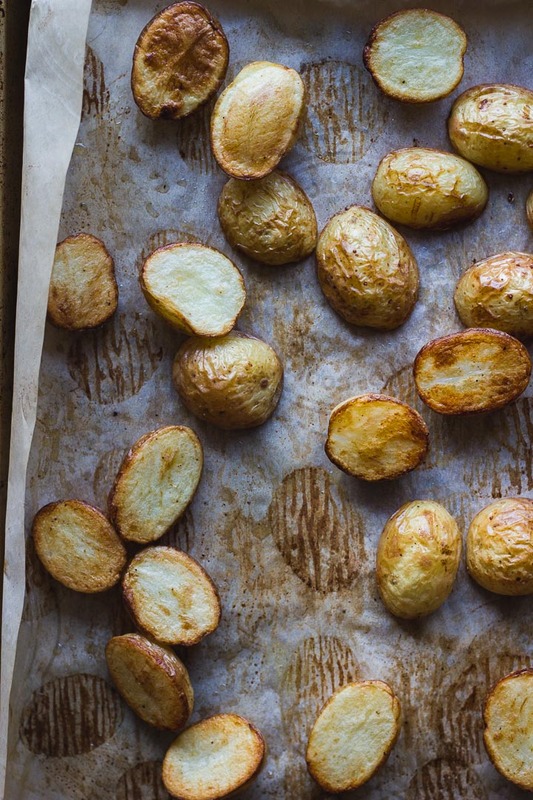 Continue roasting the potatoes until soft in the center and golden brown on the outside, another 15-20 minutes. Remove and let cool. While the potatoes are roasting, prep the dressing. Place all ingredients in a small blender and blend until smooth and creamy, adding water as needed. Taste and adjust seasoning as needed. Place dressing in the fridge to set. Roughly chop the romain and place in a large salad bowl. Add in the roasted potatoes and 1/4 cup of dressing. Toss with your fingertips to coat. 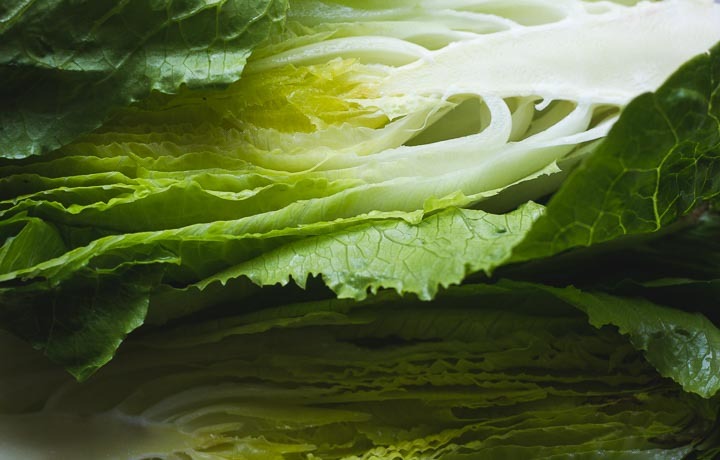 Taste a piece of romaine and add more dressing as needed. Continue adding dressing until all the leaves are well coated the salad reaches your ideal creaminess. 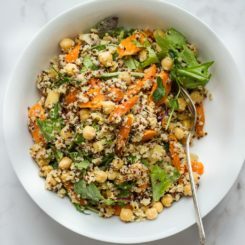 Season with black pepper and sprinkle with hemp seeds. I love that book! I have always wanted to hike the PCT. Now I’m excited to hear about your upcoming adventures. How exciting! 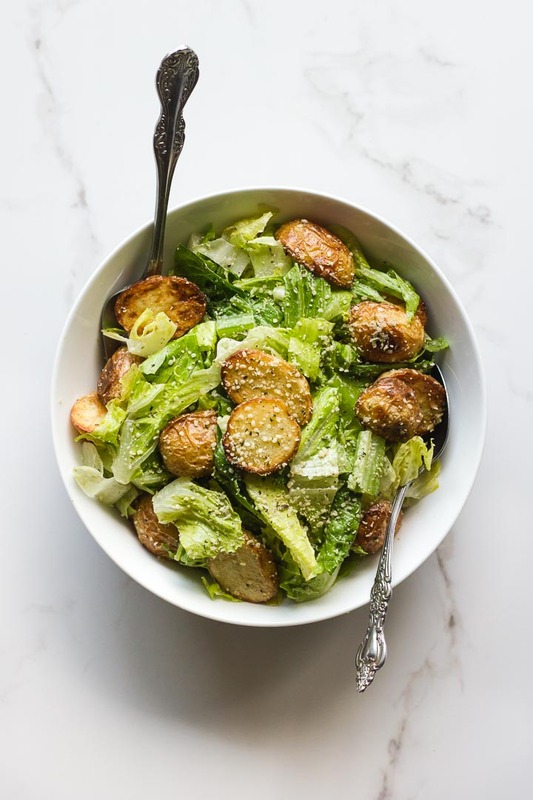 Love the sound of this salad, Caesar salads are one of my favourites. 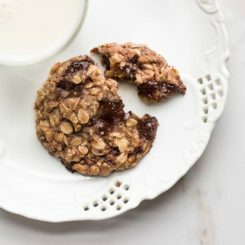 Why don’t you please add a print feature just for the recipe?? 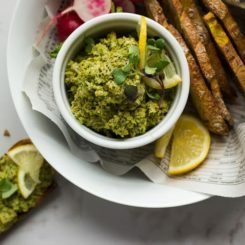 I would love to print some of these recipes but not the rest of the photos and words.